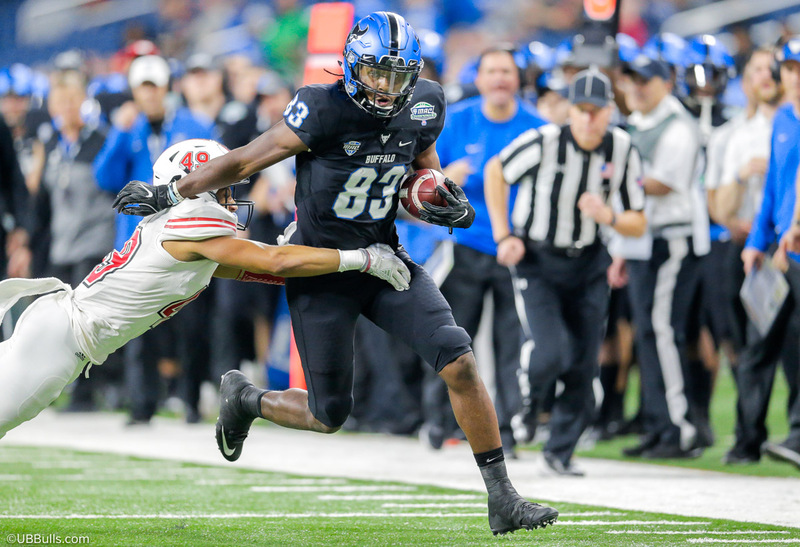 DETROIT, Mich. – Northern Illinois struck on a 35-yard touchdown pass with 1:09 remaining in the game to defeat to University Buffalo football team, 30-29, in the Mid-American Conference Championship game at Ford Field on Friday night. The final touchdown gave the Huskies their first lead of the game. As he's done all season, Khalil Hodge led the Buffalo defense with nine tackles and a sack. James Patterson had seven tackles and another of the Bulls' four sacks in the game. Tatum Slackhad his second interception in as many games.